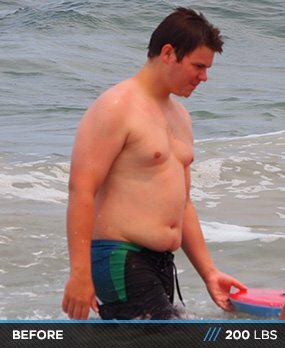 Swimming kept his weight in check during high school, but when college started Landon stepped out of the pool permanently. Tired of XL T-shirts, he grabbed heavy iron! I've always been an athlete in my mind, but I never had the body to go along with it. I swam my way through high school, lettering every year, and was competitive for my size and stature. Every year, I saw myself getting steadily larger. After graduation, I blew up like a balloon during my freshman year of college. In Christmas of 2011, I received many extra large T-shirts from family members after wearing a large for several years. At that point, I decided to take charge of my weight. It was difficult in the beginning. Simply walking into the gym was a success for me. I was no stranger to the gym, though. I was practically born in the gym. My mother works in health and fitness. At the time, it was a huge plus to get motivated. I started off thinking I was there to build muscle, not to lose weight. I knew the fundamentals behind muscle building and I owe my weight loss to supersets and cardio. Much of what I did could be considered HIIT. I chose a moderate weight and did sets of high reps. I did supersets of the same or opposing muscle groups to provide a full pump and an increased heart rate. My goal was to keep my heart rate high in the weight room. This type of exercise, in addition to a correct diet and supplementation, was critical throughout my transformation. I kept it simple and clean when I was losing weight. I was especially cautious with my portions and daily intake to make sure my body got what it needed. I was sure not to go too long without food to keep my metabolism up. The body is complex. I always took my sets to pain and occasionally past failure with the assistance of a good spotter. The regimen I attribute most of my success to includes supersets with little rest. My biggest challenge was plateaus. It was a real kick to my motivation when one week I lost a few pounds and the next I didn't lose any. 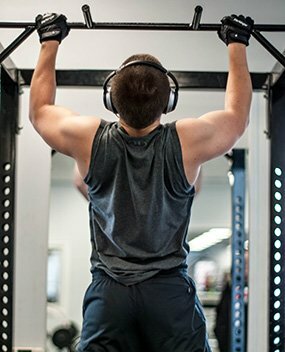 Changing my workouts really helped me get back on track with my gains. Since I came so far in a short amount of time, it brought clarity to what I think is possible. As of right now, I consider bodybuilding a hobby and have goals to one day be in a competition. Through hard work and discipline, and most importantly education and focus, I see this as a real possibility in a few years. I hope to use what I learned about fat loss and bodybuilding to influence others and help them reach their fitness goals. The key to success is simple, old-fashioned hard work and consistency. You can't blame anyone for your fitness struggles but yourself. It's up to you to make changes. There is no magic pill, no simple solution to get where you want to be. That's a fact. You have to come to the realization that this task isn't easy. You have to put in a serious amount of effort to accomplish anything. That's why it's called working out; you have to work. It's your job to take control of your situation, grab it by the horns, and own it. 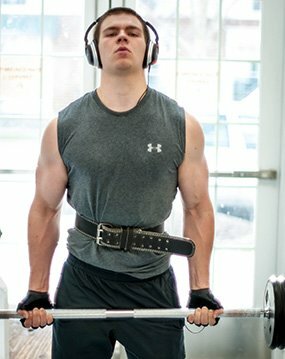 Bodybuilding.com has been, and always will be, a critical component to my overall transformation. The videos on supplements and workouts helped me become educated. 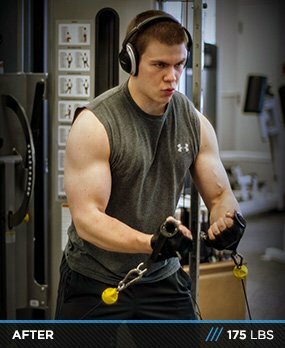 The motivation section on Bodybuilding.com was another huge asset that got me going on days when I needed a little boost. I will always use Bodybuilding.com to purchase supplements and read new information on the industry.